Sagepole Teepee Play Tent with Floor Mat and Solid Pine Poles, 59" x 51"
The Sagepole Playtime tents make an adorable addition to any bedroom or playroom, and feature details your child is sure to love! We created our playtents to last, each teepee is made with sturdy rugged materials like 100% cotton canvas and solid pine poles. Encourage imaginative play with details like an adorable built in window with peek-a-boo flap, tie back door flaps, and an attached floor mat; our teepee tents also make the perfect reading nook! The Sagepole tents are simple to assemble, and can be constructed in a matter of minutes. We also include a handy storage bag so you can store your tee pee tent in a closet or under the bed when not in use. Machine washable. Imported. PREMIUM MATERIALS & CONSTRUCTION - The Sagepole Teepee Play Tent is made out of one continuous piece of 100% cotton canvas that is easy to clean and rugged. 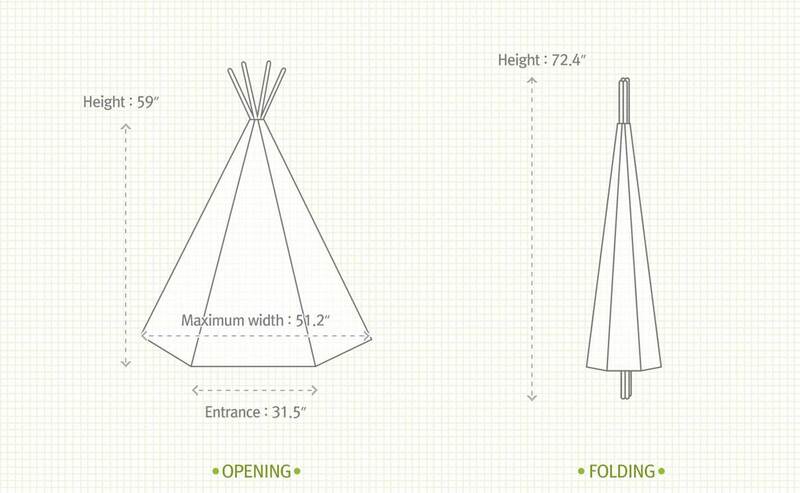 Includes 5 sturdy solid pine poles, our teepee tents are designed to last for generations! ATTENTION TO DETAILS - Each Sagepole Teepee tent includes feature like a built in window with a peek-a-boo flap, tie back door panels, and a floor base that is included (unlike others that you have to purchase separately). ADORABLE PRINTS - The Sagepole Teepee play tents make a great addition to your child's bedroom or playroom. Choose from a number of whimsical designs and prints to match any bedroom decor! Create a cozy reading nook that your kids will love! STORAGE BAG INCLUDED - Teepee tent is easy to disassemble and all pieces fold up easily in the convenient storage bag. Our Teepee tent folds down to 35" x 7" and can easily be stored in a closet or under the bed. MACHINE WASHABLE - To wash, simply disassemble the teepee and remove the canvas portion from the poles. Machine was cotton canvas in cold water, gentle cycle. Air dry only. Baby boy's room is almost complete! The latest addition to our little woodland themed nursery is this cute little Play Tent with Floor Mat and Solid Pine Poles (NORWEGIAN WOOD) by @jolimolibrands ! My kid loves it! Easy to assemble!